Many people with very rare types are now wondering if they have the right rare type, but the current material for learning about it is so highly technical and complex, it takes a very geeky brain to parse any of it. And I’m including our doctors, who are by definition smart to begin with: medical school selects for same. 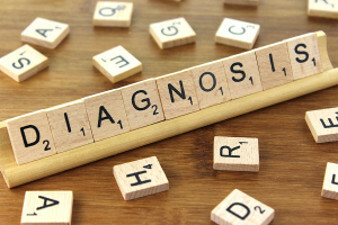 Most of us (and them) are just not so steeply versed in modern genetics much less the finer points of connective tissue disorders, much less these new, extremely similar forms of the Ehlers-Danlos syndromes, phew! Even if they are willing and interested to learn some or even all of this new material, they just don’t have the time in many cases as they are overburdened (at least in the US) with our bloated insurance system in most cases, and struggling to keep up with all the other new rare diseases being found elsewhere. Sorry but we’re just a subset of a growing pool guys. I think if it didn’t take us well over ten years on average to get diagnosed to begin with (25 in my case), we might not be so upset. Especially since, as my long time readers well know, I’m deeply convinced that what we now call the Hypermobility Spectrum Disorders, or what passes for them on the “milder” and less bendy side are not at all rare, just rarely diagnosed as I used to say about hEDS befrore. I honestly think most are currently getting diagnosed with fibromyalgia, but that is my unprofessional opinion only of course. Though I know of one doctor who agrees with me now and increasing numbers of patients are starting to make the connection with a CTD and comorbid MCAD of some kind (usually MCAS). Further, I happen to know of some hEDS (formerly EDS III) patients, including a leading rheumatologist in Chile himself who have told me they not only aren’t bendy now, but they never were. But they suffer from all the same systemic issues that arise with weak connective tissues throughout the body including joint instability as I am now. (I just “break” now, I don’t bend almost at all anymore and oh is it painful! I long for the bendy days of my youth, heh.) So they may not even get picked up by this new category even at all! So it would seem there is some tweaking and adjusting to do, which The Ehlers-Danlos Society are quite willingly undertaking. Furthermore, we will be revisiting the whole works in just TWO short years from now, not the twenty painful ones we just took to get even here! And… as I’ve been trying to re-assure my followers as I have volunteered to dive into the HSD waters of my own accord, my condition is still very real, as is my suffering and ALL of my pain. (And how, ow!) I’m just not bendy anymore and unsure I will be at all soon. But let me be very clear: we are not required to be re-assessed or re-diagnosed and re-classified unless a) we wish to be and request it, b) we are required to be assessed for some reason such as applying for disability, or c) we apply to participate in a research project some day involving the hypermobile form of EDS and it is required then. So in truth, technically, nothing should have changed for me or anyone already diagnosed with hEDS (formerly EDS-HT, aka HMS and JHS and EDS III elsewhere and in the past). We are all just contemplating and seeing where we do fall according to the new classification scheme and criteria. Or at least I am, speaking for myself of course. Leading me to urge everyone, diagnosed or not, suspecting or otherwise, to validate yourself. Heck, even before this criteria change, as too many know (and some aren’t even aware yet), it was extremely hard to get doctors to recognize any but the grossest signs of the rarest types of the Ehlers-Danlos syndromes. Now they have to double check they have the right one, there’s a flock of new, extremely similar types in a plot to further confuse. And still rule out any other similar HCTDs. This will continue to be the case, despite all of our best efforts to educate as many doctors as possible all over the world. Someone somewhere will continue to be dismissed, invalidated and disbelieved for any number of unfortunate reasons, sometime even AFTER being diagnosed, most of which we can’t control. And some patients even with the grosser signs of a rare type will still struggle to figure out which one they have until molecular testing catches up, which I think will sooner than later. I’m dearly hoping so for all our sakes! I am friends with the mother of a lucky young boy who has yet to receive a confirmed diagnosis after over 7 long painful and expensive years of trying, despite traveling to see some of the best specialists in the world for almost every heritable disorder of connective tissue, and being tested six ways to Sunday. He was so afflicted, that Make-a-Wish even granted him his dying wish 5 years ago! And even he can’t get diagnosed properly yet, and not for lack of effort! So we’re not alone in this problem, even on the opposite “bendy” end of the hypermobile spectrum. Thankfully doctors DO recognize he has some form of serious CTD, and wisely do suspect a likely rare form of Ehlers-Danlos syndrome and treat him accordingly, but not one has been able to finger a single known pathologic genetic defect in him to explain all of his troubles. They have diagnosed a growing handful of major comorbidities like epilepsy and a rare form of dysautonomia finally so he’s getting supportive treatment and a service dog thankfully. I keep telling his mom he has “Stryder’s Syndrome”; i.e, he may be the first or only one of his kind! So just as I did for the last 30 years while being written off as “just depressed” and “just a woman” (ha), you really need to learn to validate yourself. No matter what anyone else says or thinks about you, ever. In all ways. Heck, my dear black and LGBTQ friends and family have dealt with this their whole lives – experiencing invalidation, disrespect and dismissal at almost every turn by very closed-minded and often bigoted people all their lives. There is just some unfortunate trait that runs in humanity causing a small but very stubborn percentage of us to be extremely closed-minded about some things, and in some rare cases, about everything. It’s just really unfortunate when they are the very doctors we’ve been trained to turn to for help, and nay, often pay thousands of dollars for the privilege of seeing. But in the end, even some diagnosed and clearly afflicted patients STILL get dismissed and invalidated, sad to say, just not as often of course. And sometimes in different ways. Again, it’s just human nature in some unfortunately to do this. I’m guessing it is anxiety-based, or just plain narcissism as was my dad’s case. If they don’t mind, it doesn’t matter, right? They can dish it, but they sure can’t take it, sigh. So do yourself a favor, and give yourself – and everyone around you, and your hard-working doctors a break for a minute, and validate yourself. That is, know deep inside that even if no one else has affirmed your experience, said they believe you or given you the help you no doubt need and deserve – it will be forthcoming in due time okay? “Believe it and you will see it” to quote the late great Dr. Wayne Dyer. Nothing worth doing is ever easy. And good things really do come to those who wait and persist – I promise. I knew deep down all those years that there was something truly wrong with me even if no one truly or fully believed me, we just didn’t know what. And instead of wasting thousands of dollars and probably hundreds of hours trying to beat the medical system at the time, I just ignored my milder issues, triaged the worst as they arose and got on with life as best I could until it radically changed in 2012, leading to my diagnosis finally after all those long painful years. And boy am I glad I did. 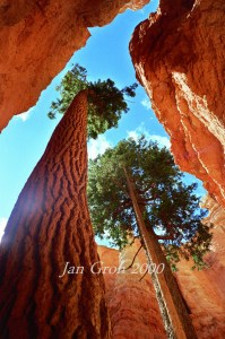 Not only did I get to participate in the working world and enjoy several incredible hobbies including gardening, photography and folk dancing, I traveled to some incredible places (albeit in pain, like where the above photo was taken in Utah), and lived a pretty darn full life until I suddenly couldn’t. Or at least not nearly as easily anyway. Not that my life is over now, it’s just different, and how. (Ow!) It’s a lot harder to enjoy all of those activities now, though I’m ever so slowly returning to a couple in small amounts. Not to mention have blossomed into a writer as you’ve seen here. And have settled into my new life as a spokeswoman for a so-called rare connective tissue disease that no one can quite agree on fully. I’m still me, Jandroid, the creative android. I still matter. As do you, diagnosed or not. I believe you, even if no one else does, okay? And The Ehlers-Danlos Society really does too. And if you keep the faith, and believe in yourself, ultimately others will too, I promise. I just fear that our doctors often fall into the more stubborn than not category, so this gets to be a little harder than some other reasoned arguments we make. Trust – and heal – your gut I like to say. One day we’ll look back and laugh at how ridiculously hard it was to diagnose this condition, I promise. Keep the faith! We’re stronger together! If you’ve found this or any other post of mine useful, I would deeply appreciate your support at any level here TY! Aw thank you so much! That is my dearest wish and “burning” goal (no pun intended – or maybe just a little?) to be a light in the dark for any and everyone else out there battling this thick medical jungle to get a diagnosis, but at least some medical validation and treatment at a minimum. Thank you for writing this. It has helped me in my endeavour to ‘be kinder to myself’. I have the new criteria diagnosis and thus far the Doctors I see have been accepting of it and much less judgmental of me. As with many people, I had a very hard fought ten+ years to get a diagnosis, and I felt relief to finally know what was wrong with me. Like you, I had always struggled with illness’, various symptoms but managed to push on in life, until my condition became worse and it got too difficult that I NEEDED medical intervention and had to get a diagnosis. Life has changed, but I am learning to adapt and embrace it. I Thank you for sharing your knowledge, I know we have to become educators to those who treat us medically, and to those who care about us personally. It is exhausting but necessary. Wow- tears are running down my face as I read this post. I relate on so many levels to your story. I really appreciate you sharing your experiences and perspective; I don’t feel quite as alone. Because honestly, even the most supportive and loving family members and friends can’t really fully understand our struggles. I’ve always kept most of my suffering to myself, because I feel like I already add so much of a burden to my family as it is. I know this is 10 months ago, and I pray that everything has worked out just fine with the criteria changes. Aw bless you and virtual hugs my friend, I feel like we’re all one giant hypermobile “family” anyway, so you can be my sister if you like. I’m sorry that you feel a burden – you should not. This is ableism that is ingrained in our culture talking – we are ALL worthy of existi8ng and being and asking for help. Don’t sell yourself short.